Smartphones are moving away from micro-USB technology, and after just a couple of years, it’s almost like you can only get phones with a USB-C port now. And on top of that, most manufacturers have removed the headphone jack to make room for even better phone technology, or to create better waterproof of their phones. That said, that leaves very little room for plugging in headphones; and, if you used the audio jack regularly at all, with a smartphone brand that has removed the headphone jack, your 3.5mm headphones are essentially useless now. But, fear not — there is still a way you can listen to your favorite audio activities on your phone, and that’s with USB-C headphones. If you follow along below, we’ll show you the current top 5 best USB-C headphones on the market right now, and this will work with any phone with a USB-C port (unfortunately, that means that these won’t work with Apple devices). 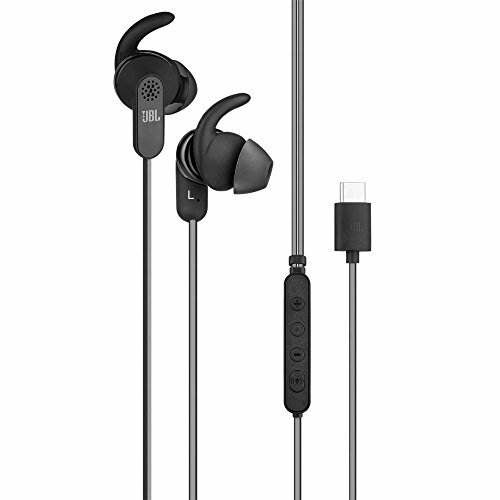 The JBL Reflect Aware C in-ear headphones were the first USB-C headphones to hit the market alongside the HTC 10. 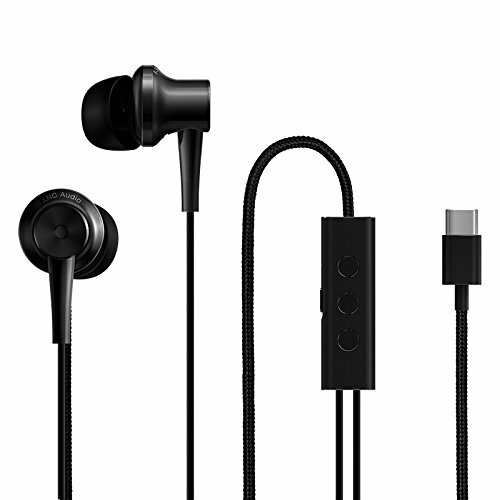 These are great sounding earphones that have a handful of features with them that make them super attractive. First off, these are noise cancelling, and even have adaptive noise control — this allows you to manually set what you want your environment noise to be at so you can be more aware of your surroundings. This could be perfect for a walk or run, with cars passing by you and such. These are sweat-proof and water-proof as well, so they’re the perfect pair for a good workout. Xiaomi is well known for making excellent smartphones. They’re not in the US yet, but here in the States, their smartphones are coveted. However, they do make earphones that you can get your hands on, and they’re quite good. They are noise cancelling, so all you should be able to hear is the music from your smartphone with these in. It cuts out ambient noise about 25dB, and they have a certified Hi-Res audio rating. 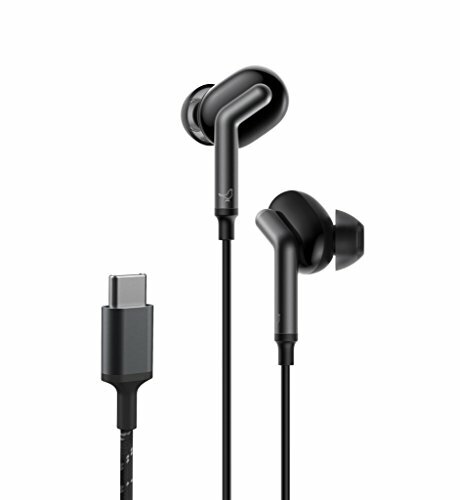 The quality is really good, with the earbuds themselves being made out of titanium, and the break-resistant cable being made out of kevlar. If you’re a gamer, unless you’ve been living under a rock, you’re familiar with Razer and their PC gaming accessories. 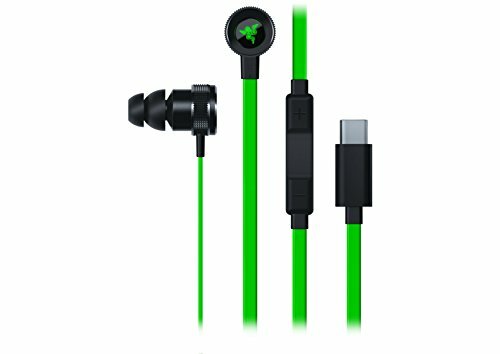 They also offer a pair of great USB-C headphones called the Razer Hammerhead. The headphones are USB-C, but can also connect with Bluetooth. They have 10mm dynamic drivers with Neodymium magnets that should give you some really deep bass and crystal clear highs. The overall sound of these earphones are phenomenal, and are so worth the price. 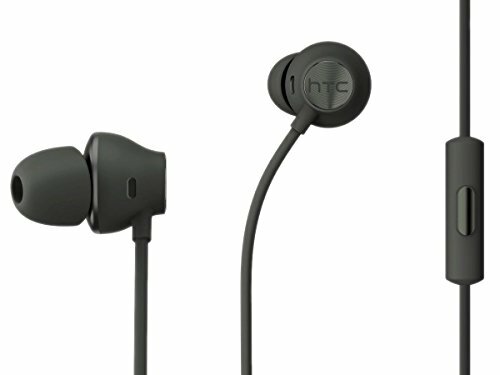 Another great pair of in-ear headphones that you cannot pass up are the HTC USonic Adaptive headphones. These are fantastic sounding headphones, but one of the unique features of it is the adaptive technology. These HTC USonic’s are able to optimize sound to your ear structure and ambient noise levels to give you one of the best sound experiences out there. And the best part? These headphones will only set you back around $40, not including shipping. Last up on our list, and certainly not the least, are the Libratone Q Adaptive earphones, which are made by Google themselves. They’re able to connect up seamlessly with the Pixel 2, but will work flawlessly with any other USB-C device as well. Sound is phenomenal, with deep bass and crystal clear highs. You get noise cancelling with Google’s own CityMix technology as well. These are a little more on the pricey side at around $150. If you’re looking at spending that kind of money, we’d more recommend that you spend the extra $50 and get the JBL Reflect Aware C in-ear headphones for $200. Those are a sound experience like no other. But still, if you want to check Google’s own earphones for a run, you can check them out at the link below. As you can see, there are a lot of great USB-C headphones on the market right now, and there are a lot of excellent ones on this list. Here, we wouldn’t say any USB-C headphone is better than the other, these are all high quality headphones. That said, you’ll get a great listening experience no matter what your choice is! What’s your favorite pair of USB-C headphones?